Data analysed by the RAC Foundation shows there are now 4,018,900 men and women aged 70 or over who hold a valid full British licence. Of these people, 191 are aged 100 or over. The oldest licence holder is recorded as being a woman aged 107. The oldest licence-holding man is 106. While not all of these licence holders will be active drivers the statistics illustrate the growing number of older people who still use a car. And the total is set to increase dramatically. The Government has predicted that of the UK citizens alive today, around ten million will reach their 100th birthday. It is at age 70 – and every three years thereafter – that drivers must declare whether or not they are fit to drive. This self-declaration is not made on the basis of any formal medical or driving test, but relies on the judgement of the individual. To help people make the right decision, Rica, a national research charity providing information to older and disabled consumers, has – with support from the RAC Foundation – published Driving safely for life. The guide is aimed at keeping older people mobile and safe for longer. 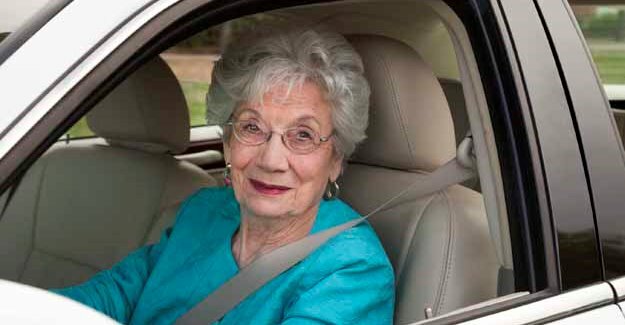 Many people continue to drive safely and with confidence as they age. However, experience in Australia and America suggests an estimated one in ten drivers continues to drive when they are not fit to do so. Also a third actually hang up the keys too early and risk exclusion from essential services and social activities. The guide is available from Rica and will also be promoted by local authorities, police authorities and other agencies as well as community groups. “All drivers should regularly consider their fitness to drive, but matters come to a head when we reach 70 and have to declare that we should be on the roads. In general, older drivers have an enviable safety record but it is clear that faced with this critical yes or no decision many motorists simply do not have a realistic view of their capabilities. “For those reliant on a car, giving up driving will have a huge impact on their ability to live an active life so it is important that they get all the help and support to make the right decision at the right time. The RAC Foundation is a transport policy and research organisation which explores the economic, mobility, safety and environmental issues relating to roads and their users. The Foundation is a registered charity and publishes independent and authoritative research with which it promotes informed debate and advocates policy in the interest of the responsible motorist. Rica is a national research charity dedicated to providing independent information of value to disabled and older consumers. It researches and publishes consumer reports, based on rigorous research and providing practical information for disabled and older consumers. It also works with manufacturers, service providers, regulators and policy makers to improve products and services. Rica’s aim is to increase their awareness of the needs of disabled and older consumers through specialist research. The guide was produced by Rica in partnership with: RAC Foundation, Department for Transport, Forum of Mobility Centres, Parliamentary Advisory Council for Transport Safety, Rees Jeffreys Road Fund and The Gifford Partnership. To obtain a printed copy of the guide, members of the public can send a large (A4) self addressed envelope with 69p in stamps to: Rica, Unit G03, The Wenlock, 50-52 Wharf Road, London N1 7EU. Those drivers aged 75 and over make up 6% of all licence holders but account for just 4.3% of all deaths and serious injuries. By contrast, drivers aged 16-20 make up just 2.5% of all drivers but 13% of those killed and seriously injured.